In need of 1TB of online backup space? 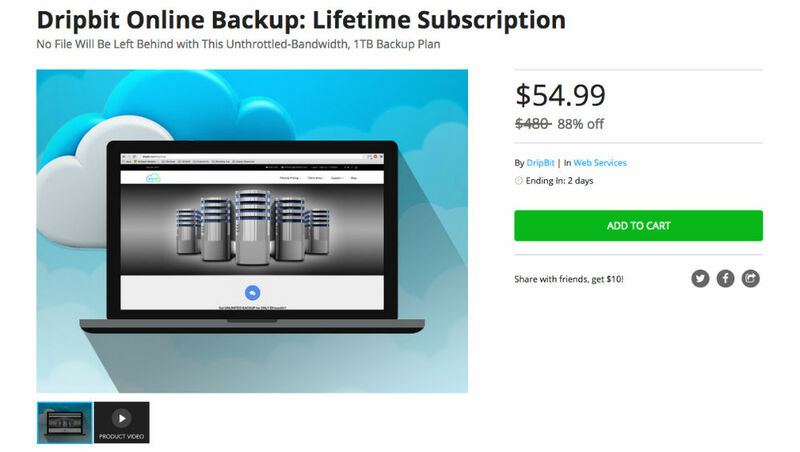 Well, taking place on the DL Deals Store, you can pick up a lifetime subscription to Dripbit Online Backup for just $55, valued at $480. With this lifetime subscription, you have access to private, military-grade AWS 256 encryption, perfect for storing all of your precious files. To access these files, there is no need to download them, as a built-in editor allows you to make whatever changes you need while established to a secure connection. For folks on the go, an Android mobile app lets you access your goods wherever you are, and any web browser can be used for access. If 1TB of lifetime cloud storage interests you, for just $55, click that link below.